The Star Wars franchise is just too lucrative to stay dormant for very long. 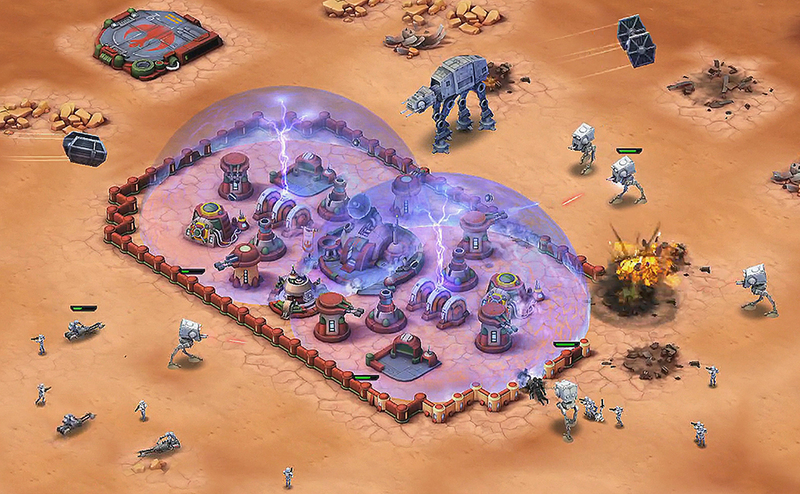 Today, Disney Interactive and Lucasfilm are returning to the iconic sci-fi universe with a new strategy video game called Star Wars: Commander for the iPhone, iPad and iPod touch. If you’ve ever played Clash of Clans or other strategy games that incorporate a base-building component, you’ll have a good idea of what to expect here. 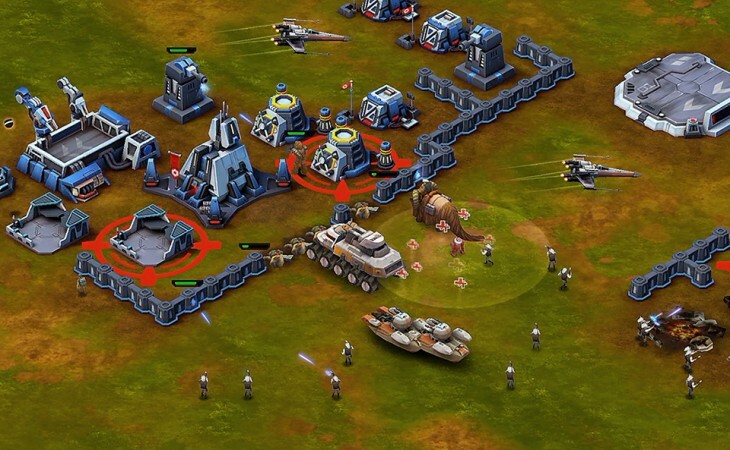 Star Wars: Commander drops you off in the famous Tatooine with partner-in-crime Saponza; after a couple of tutorial missions you’re asked to choose between the evil Galactic Empire and heroic Rebel Alliance before building a base and tackling the campaign. 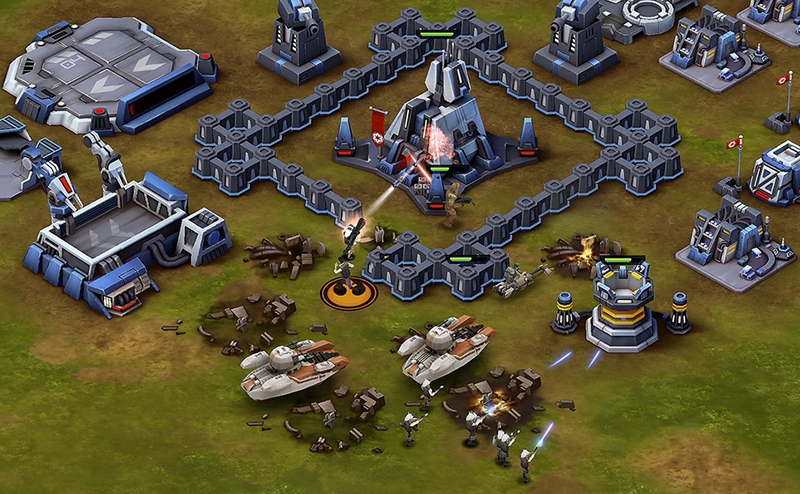 By collecting various resources, you’re able to upgrade your headquarters and build stronger forces. Doing so increases the likelihood that you’ll succeed in the story-based skirmishes that follow. On the flip-side, the credits and alloy you collect can also be used to fortify your own defences with turrets, deflector shields and heavy artillery. 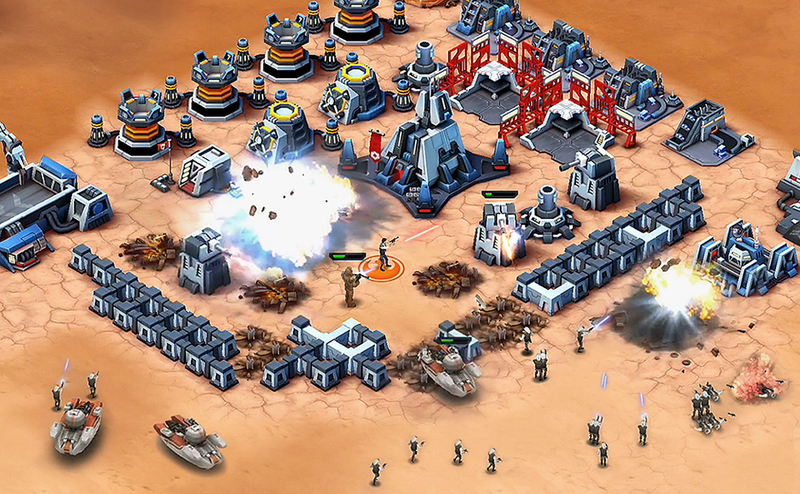 The game is free-to-play, although training troops and constructing buildings does take time. You can either endure these periods (they’re reasonably quick at the outset) or pay to jump ahead using crystals. As you might expect, these powerful gems can also be purchased with real currency. Prices vary from £2.99 (500 crystals) to £69.99 (14,000 crystals) at launch. For the competitive sort, there’s also the option to attack other players in order to loot resources and claim those all-important bragging rights. The developers wanted this game to be authentic, although some creative liberties have clearly been taken to integrate popular characters such as Darth Vader, Princess Leia and Han Solo. Throughout the game though, the attention to detail is obvious: AT-STs lumber across the dunes with authentic walking animations, blasters fire with their iconic “pew-pew” sound and the sweeping soundtrack instantly recalls the original trilogy of films. It’s not the most imaginative video game from Disney Interactive, staying close to the trends and mechanics pioneered by other titles in this genre, such as the aforementioned Clash of Clans. Nevertheless, the quality is high and the non-existent entry fee means it’s certainly worth a try for avid Star Wars fans. Oh, and a spokesperson told me an Android version is coming “in the future.” So if you’re invested in Google’s mobile OS, sit tight.